In the midst of legalization of marijuana in the US and the increase in recreational use of the drug, not so many studies are available on the drug’s effect on cardiovascular and cerebrovascular health. 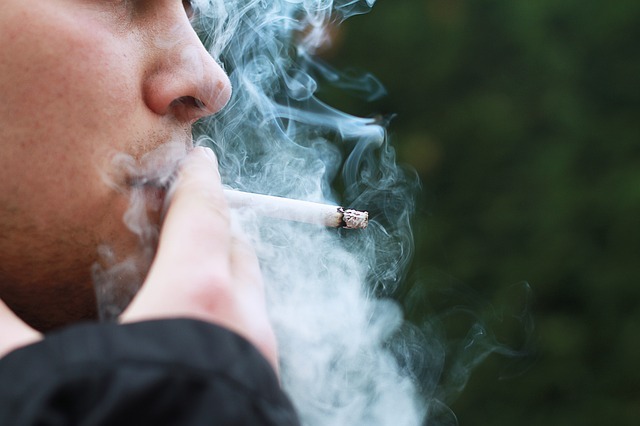 Barbara Yankey led a team of researchers from Georgia State University School of Public Health to prove that, similar to cigarette smoking, marijuana use is linked to cardiovascular deaths. The study was published in the European Journal of Preventive Cardiology. In 2005, around 1,200 people aged 20 and above were selected to be part of the study and were asked if they had ever used marijuana (herbal cannabis) or hashish (cannabis resin). Those who answered “yes” were classified as users while those who said “no” as non-users. The results were then merged with a US National Center for Health Statistics data to rule out other factors like gender, race and history of cigarette smoking. The result: marijuana users are 3.42 times likely to die from hypertension (high blood pressure) than non-users and the risk increases with additional years of use. However, the study has limitations, making it hard to draw clear conclusions. First, a “user” is defined simply as someone who tried marijuana (frequency of use is not estimated). The study says: 21% of respondents used marijuana only, 20% used both cigarettes and marijuana, 16% are past cigarette smokers who used marijuana, 5% are past smokers, 4% smoke cigarettes only, 34% are not smokers or marijuana users. There is uncertainty here in terms of who continuously used marijuana after the first try. Another study made by Marist Institute for Public Opinion gave clearer statistics: 52% of Americans tried marijuana but only 14% “regularly” used it (“regularly” defined as “at least once a month”). The second limitation is that the wide variety of marijuana is not taken into account. Marijuana contains up to 400 chemicals and each strain will have a distinct composition. Third, the study is based only on observing the respondents over time. As a result, it could not say with certainty that marijuana use caused hypertension, only that the two are linked. It should be noted however, that despite the limitations, the study established several things. One, that there is indeed a link between marijuana use and death from hypertension. The study offers a simple explanation for this: marijuana stimulates the nervous system which in turn increases heart rate, blood pressure and oxygen demand. Two, cardiovascular risk from marijuana use is greater than that from cigarette smoking. Three, no link was established between marijuana use and death from heart disease or cerebrovascular disease. This is suggested as an area of focus for future studies. Marijuana, also loosely referred to as cannabis, weed or pot, is made from the dried flowers, stems, seeds and leaves of the plant Cannabis sativa. Out of 400 chemicals, THC (tetrahydrocannabinol) is what makes marijuana a Schedule 1 drug while CBD (cannabidiol) gives marijuana its medicinal effects. A Schedule 1 classification means marijuana has “no currently accepted medical use and a high potential for abuse”. Other drugs in this category include heroin, ecstasy and LSD.